Jake Tapper wrote a puff piece for CNN recently on Israeli psychologists Yotam Dagan and Alan Cohen and their visit to Parkland, Florida. They flew in from Tel Aviv to assist counselors in their work with students of Marjory Stoneman Douglas High School, the site of last month’s mass shooting. The “terrorism” to which Tapper and the psychologists refer is for the most part resistance to Israeli violent aggression and massive human rights violations. The “wars” they reference were almost exclusively initiated by Israel. Granted, Israelis have experienced many alarming events over the years. They have seen spates of stabbings, occasional car-rammings, and the legendary “rain of rockets.” There was a period of time when Israeli citizens also endured a chilling string of bus and in restaurant bombings. (For a list of all those killed since the Palestinian uprising known as the Second Initifada, which began in the fall of 2000, go here.) These incidents certainly wreak havoc with the psyche, as do the sight of Israeli soldiers in full body armor and the sound of air raid sirens signaling incoming rockets. The rockets in particular have been the subject of countless news interviews and the claimed reason for a number of deadly incursions into Gaza – including Operation Cast Lead which killed over 1,400 Palestinians (9 Israelis were killed) and Operation Protective Edge which killed over 2,200 (71 Israelis were killed). 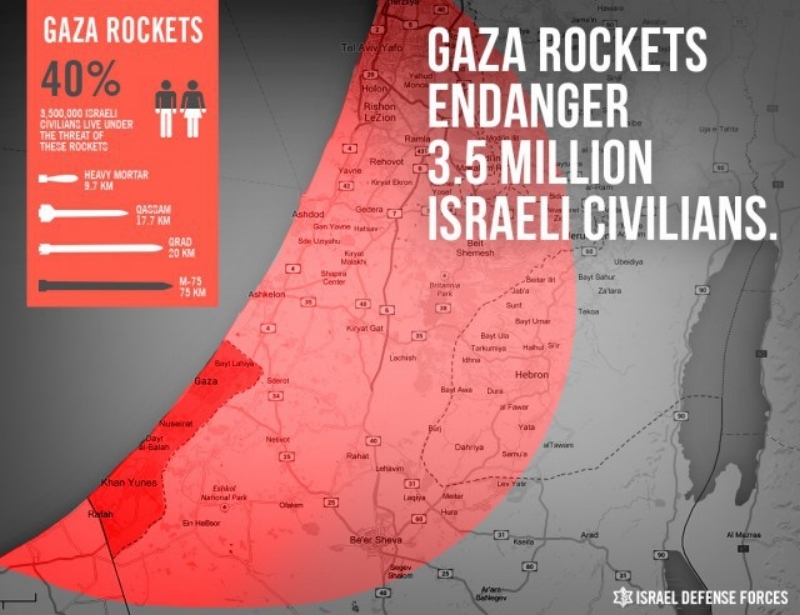 The number of rockets that have come out of Gaza (roughly 18,000 over roughly 18 years) and the number of Israelis “in their path” (3.5 million – see below) have been well-publicized; the number of fatalities, however, is almost never disclosed. One might guess the death toll is astronomical, but it is not: in 18 years, 30 Israeli civilians, 14 military. Statistically, Palestinians might have more trauma background from which to draw, and therefore seemingly more to offer Parkland counselors – Gaza alone has experienced not spates of stabbings, but waves of machine gun fire; not occasional car-rammings, but tanks armed with missiles; and not a rain of rockets, but rains of white phosphorus and one-ton bombs (for example, on 20 July 2014 in Shujaiya, according to Haaretz, Israeli warplanes carried out “a broad aerial attack that included about 100 one-ton bombs”). The West Bank has had its own set of traumas, including tens of thousands of home demolitions, abduction and detention of thousands of young men (and over 300 children), and the cheapening and degradation of life. In Israel, something like this happens — a suicide bomber attacks a restaurant or a bus — and in a matter of hours, life gets back to normal. Restaurants are refinished and restored as soon as possible. In order to win this long-lasting battle, we have to bounce back to normalcy. His statement, like those of many who discuss “Palestinian terrorism,” refers to restaurant and bus bombings as though they are current, everyday occurrences. In reality, these attacks are old, if unforgettable, news. These horrific events, understood in context, were a desperate, albeit internationally condemned tactic to resist Israel’s stranglehold. Ever since Israel’s 1946-48 founding war of ethnic cleansing, and Israel’s 1967 war to take the rest of Palestine, Palestinians have been waiting on world powers to bring justice, but to no avail. Israel’s violence continues today, unchecked (more information here, here, and here). A far more common tactic that largely began in 2001 has been the organized nonviolence movement by Palestinians and others around the world. These unarmed demonstrations – virtually unnoticed by US media – continue today, though Israeli forces have killed and maimed numerous participants. Tom Hurndall was a British student and photographer who traveled to Gaza in 2003. On April 11, he was shot in the head by an Israeli soldier as he tried to save the lives of 3 small children. Despite the seriousness of his injuries, Israeli officials delayed his transport to specialized medical care for over 2 hours. Tom remained in a vegetative state until his death 9 months later. Dagan suggests that “In order to win this long-lasting battle, we have to bounce back to normalcy.” This is the the viewpoint of privilege; Palestinians have not known “normalcy” in years. The battle with violence and accompanying trauma has indeed been long-lasting in Israel and Palestine, but the solution does not lie in bouncing back quickly. Rather, it can only be found in eliminating the root of this enmity. Israel’s violations of human rights and international law have caused resentment, boiling over at times in rage. A number of prominent human rights organizations have been tracking for years the abuses that have accompanied Israel’s occupation of the West Bank and Gaza, each of which can be traumatizing for children. According to a report by Medical Aid for Palestinians (MAP), which studied the impact of 50 years of military occupation on the health of the population, 54% of Gazan children who experienced heavy bombardment in the 2014 Israeli incursion known as Operation Protective Edge, suffer from severe PTSD, with symptoms including flashbacks and nightmares. Direct exposure to violence is a major influence on mental health; Palestinian children tack on additional factors like home demolitions, checkpoints, abuse by Israeli soldiers, restrictions on movement, and other forms of humiliation. For example, according to MAP, about 78% of Palestinians’ homes were raided and 43% were physically abused between 1987 and 2011. The arrest of children in the Palestinian territories is all too common, and frequently happens in the middle of the night; this too causes anxiety. 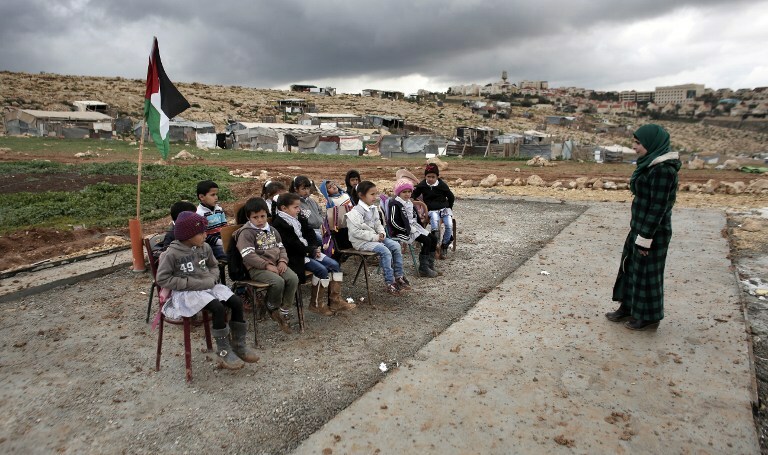 Defense for Children International – Palestine (DCIP) noted that between 2012 and 2015, 75% of children detained experienced violence during their arrest; 70% said they were verbally abused, intimidated, and humiliated; 70% were strip searched. Since 2000, at least 8,000 Palestinian children have been arrested and prosecuted in an Israeli military detention system notorious for the systematic ill- treatment and torture of Palestinian children. Around 500-700 Palestinian children are arrested, detained and prosecuted in the Israeli military court system each year. Participation in a traumatic incident is, of course, an individual encounter. However, outsiders can get a glimpse into another’s experience today thanks to YouTube. Videos – raw uploads from smartphones and surveillance cameras – convey a portion of the experiences in Israel and Palestine today. For example, watch below as Israelis in Tel Aviv react to a siren in signaling an incoming rocket from Gaza. This video is typical in that it ends with (spoiler alert) an interception by Iron Dome, and in that the residents are fairly calm as they stroll for cover. In the compilation below, residents make their way to several shelters; one rocket actually makes impact; one man is put on an ambulance (he had been injured in a car accident). And finally, in the following video, listen for 3 faint “booms” indicating either 3 faraway impacts or 3 interceptions. Either way, they are apparently not traumatizing to the residents – though cumulatively, over time, they could cause strain, and to children they could be damaging. For viewers with the courage to watch the following two videos (warning: disturbing) from Gaza, it becomes crystal clear that Gaza’s traumas are indeed in a different universe of harrowing. This is not a victimhood competition in any way. It is rather an exposé of the largely concealed cruelty of one government in its efforts to terrify and murder. Thinking beyond trauma, one might expect Palestinians to be such damaged goods that healing and normalcy are not an option. Yet young Mohammed Tamimi – who was recently shot in the face, had part of his skull removed to extract the bullet, then was arrested twice within just a few weeks after the surgery, kicked and slapped and forced to sign a document stating he had not been shot but rather had fallen off his bike – he remains in good spirits. He is not alone. Ibrahim Abu Thuraya was just 19 when he lost both legs and an eye during Operation Cast Lead. Still full of optimism, he traded his fishing boat for a wheelchair and started washing cars to support his family. Every day, he went to demonstrations, until December 15, 2017, when he was hit in the forehead by a sharpshooter and killed for raising a Palestinian flag at the border. Tens of thousands of people go about everyday life in bombed out homes; students study by candlelight when a power outage hits; women are famously collecting empty tear gas canisters – which often kill people instead of dispersing crowds – and planting flowers in them; students and teachers have school outside when their classrooms are demolished. In the midst of poverty, routine violence, and daily humiliation, Palestinians have developed a unique set of coping mechanisms. Social anthropologist Nina Gren studied methods that refugees in the West Bank used to maintain mental health in spite of profound adversity during the Second Intifada. In her thesis, “Each Day Another Disaster: Politics and Everyday Life in a Palestinian Refugee Camp in the West Bank” (2009), Gren describes the resilience that Palestinians had developed in the context of curfews, shelling, and siege. Adversity had been, at this point, a sixty-year-long phenomenon for many Palestinians. This is a quality that Parkland’s students and perhaps all Americans may do well to adopt: it is an individual resilience that grows out of collective support from family, community, and the broader culture. Palestinian youth demonstrate a natural connection with their community in their frequent use of “we” instead of “I” when discussing identity. For many, sumud has a strong faith component: spirituality is generally more important among Palestinian youth than among young people in most other countries. It enables them to stay grounded even in great hardship. Sumud is essentially unarmed – and that is what makes it a uniquely Palestinian concept. Rocks, the Palestinian symbol of resistance, is their young people’s weapon of choice, coupling powerlessness and relentlessness. Ironically, stone-throwing can result in a decade of prison, or even death, in the backwards world of occupation. Israeli psychologists Yotam Dagan and Alan Cohen might have helped restore some of the emotional damage in Parkland, Florida. But as most Americans know (and already knew many, many school shootings ago), the solution to gun violence isn’t found in group therapy after a massacre. It is found in a complex process that must start with an acknowledgement that there is a problem. This is a process that Israel has yet to undertake on a large scale. The military aggression that has become a trademark of its national lifestyle goes unchecked because neither Israel nor its close ally and enabler will admit that it is not only destructive, but self-destructive. Groups of Israelis are already doing this hard work – Gisha, Gush Shalom, ICAHD, and Zochrot, to name a few – and that’s a start. National self-reflection needs to grow and include also Israel’s supporters in the US. How much better would it be if Israeli (and Palestinian) psychologists could share, not vast experience with terrorism and war, but vast experience in peacemaking and healing? Some Israelis seek freedom for Gaza, no strings attached.